When it’s cold, grey and wet and you’re stuck in traffic on your way to the office for the fourth time in a week, there are few places that seem further away than the Caribbean. Bathed in tropical sunlight, blessed with some of the most beautiful beaches on Earth and boasting a wealth of unique cultures, Caribbean countries are effortlessly enchanting and wonderfully welcoming. Next time you’re sitting in your strip-lit office watching the rain pound at the window, take a minute to imagine what it would be like to swap the gloom, traffic, concrete of home for life in the Caribbean. Though this may seem like a daydream, more and more people are turning it into a reality. With a bit of imagination and a touch of courage, you too could leave the cold, grey world behind and start a new life in the tropics. To help you see just how easy a move could be, we’re taking a look at life on one of St Vincent and the Grenadines’ most beautiful islands, Bequia. Pronounced ‘bekway’, it’s a million miles from the hustle and bustle of big cities like London and New York. Located around ten miles from Kingstown, it has a population of 5,000 and is the second largest island in the archipelago. 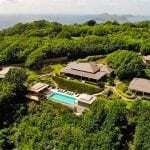 Bequia is accessible via a ferry to Port Elizabeth, the island’s capital, and via the airport at Paget Farm. The warm, clear waters of Bequia are very popular with the yachting fraternity. Every year during the Easter Regatta, you can see numerous yachts around the island. One of the most popular spots is Admiralty Bay, one of the Caribbean’s best-protected natural harbours. Devoid of gaudy glitz, Bequia boasts a bohemian sophistication. Rumour has it that the infamous English pirate Blackbeard had his base on Bequia, hiding from the Spanish amongst the island’s many hidden coves and white sandy bays. If you relocate to this Caribbean idyll, you could spend your weekends retracing Blackbeard’s steps and exploring the island’s coast in your very own boat. 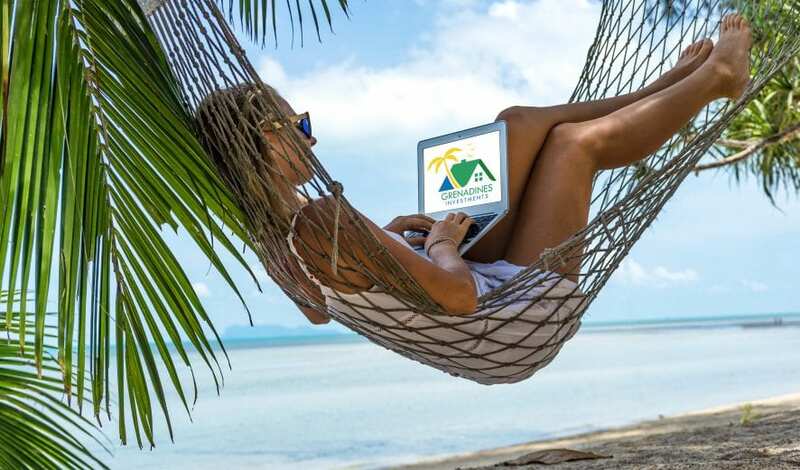 Thanks to its excellent communications network, Bequia is perfectly suited to professionals who need only an internet connection and a phone line to operate. Bloggers, writers, software and website designers, artists, tech people, coders, text translators and accountants will all find the island offers everything they need for their day-to-day operations. In fact, any professionals who don’t require regular face-to-face meetings can easily make a new life for themselves on Bequia. Imagine replying to emails by the pool, heading to the beach for a cocktail at the end of the day or relaxing in the warm Caribbean sun while you enjoy your morning coffee. When you’re not working online, you can explore the rest of the stunning archipelago or head to neighbouring islands like St Lucia, Barbados to really make the most of life in the Caribbean. As soon as you set foot on any of the islands of St Vincent and the Grenadines it’s easy to see why people are so passionate about this paradise. Although equally unable to resist the allure of area, being of West Indian descent, I am drawn to exploring my family history and the places my father called home. I am passionate about the development of tourism and investment in SVG but driven by the desire to be sympathetic to the landscape and the people who live there, many of whom I count as friends. Having retired from a long career as an accountant in the City of London, I now have the time to commit to other interests, including film editing, genealogy and learning the Irish language (Gaeilge) – with varying degrees of success! 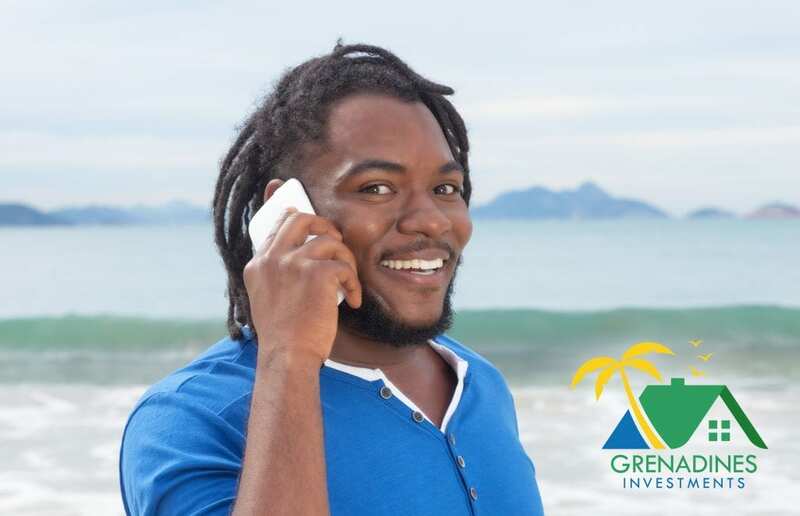 One of my pursuits that I am most proud of is www.grenadinesinvestments.com, a website that showcases the best the islands of St Vincent and the Grenadines have to offer, from real estate to tourism, the economy to the international airport and, of course, some of the world’s most beautiful beaches. It’s a growing hub of information on the islands and a genuine labour of love for me. Finding new trade partners, investors and attracting tourists is the key to the Islands’ success and I hope that through my website and social media presence I am able to be a small part of these idyllic islands’ success story.